The fantasy is over…the game is up. Well, maybe. JP Morgan Chase and a host of others financial companies, including Visa, MasterCard and American Express got hit with a consumer fraud class action lawsuit this week for processing payments for DraftKings and FanDuel. The fantasy sports lawsuit, filed in federal court, also names Capital One Bank and two other payment processors as defendants. The lawsuit claims the banks and credit companies should have known that DraftKings and FanDuel were running illegal internet gambling rings in violation of state and federal laws. “Significantly, the burden is on the payment provider to prohibit restricted transactions or risk civil or criminal punishment,” the complaint states. 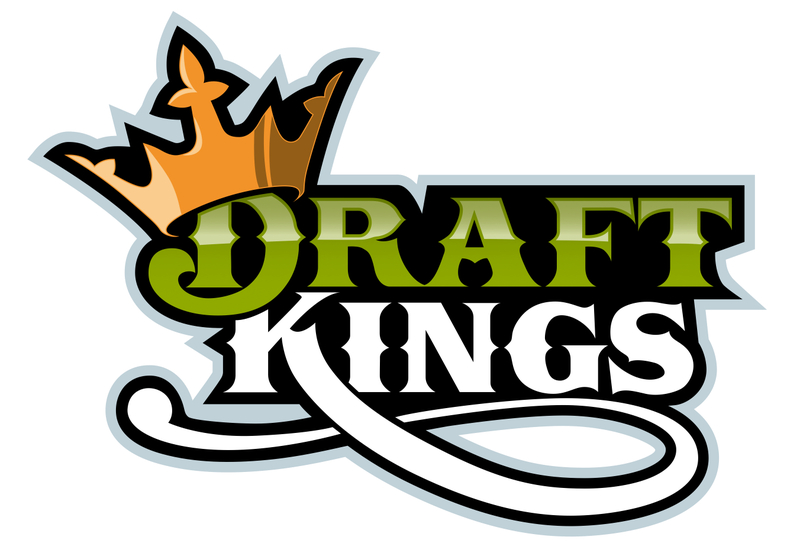 raftKings and FanDuel are the two largest players in the daily “fantasy sports industry.” The game allows players to pick a roster of professional athletes from all of the major sports and win cash prizes if their team wins that night’s, or week’s, games, depending on the sport. Earlier this month, New York Attorney General Eric Schneiderman sent DraftKings and FanDuel cease-and-desist letters The stating daily fantasy sports companies are misleading New York consumers into thinking their services are like traditional fantasy sports and are causing the same kinds of social and economic harms as other forms of illegal gambling. 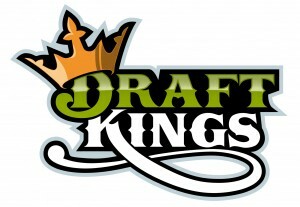 “Daily fantasy sports is neither victimless nor harmless, and it is clear that DraftKings and FanDuel are the leaders of a massive, multibillion-dollar scheme intended to evade the law and fleece sports fans across the country,” Schneiderman said in a statement. The case is Guttman et al v. Visa Inc. et al, case number 1:15-cv-09084, in the U.S. District Court for the Southern District of New York. Filed by former Urban Outfitters retail sales clerk Mariah Charles, the Urban Outfitters lawsuit asserts the defendants requires some of their employees to call their managers two hours before they are tentatively scheduled for a shift in order to find out whether or not they will work that day. The company policy states that if the employees don’t work, they aren’t paid for making the phone call or for clearing their schedule for the day, according to the complaint. According to the complaint, the call in policy also makes it impossible for employees to navigate eligibility requirements for government benefits like housing assistance, food stamps and child care subsidies, which are typically based on income or hours worked per week. “Because employees are not permitted to effectively use their time for their own purposes when making the call-in inquiry, under California law, they are entitled to wages,” the lawsuit states. The lawsuit claims the defendants’ policy violates Section 5 of California’s Industrial Welfare Commission Wage Order 7-2001, which dictates that if an employee is required to show up for work and does, they are entitled to half a day’s pay. Additionally, the company fails to pay minimum wage for the time the workers spend on the phone with their managers checking to see if they’ll work that day. The complaint alleges failure to pay minimum wage, failure to pay reporting time pay, failure to provide accurate wage statements, failure to keep accurate records, failure to pay earned wages upon separation of employment, unlawful business practices, unfair business practices, and asks for civil penalties under the Private Attorneys General Act. Charles is represented by Marcus J. Bradley, Kiley L. Grombacher and David C. Leimbach of Marlin & Saltzman LLP. The case is Mariah Charles v. Urban Outfitters Inc. et al., case number BC6-1952, in the Superior Court of California, County of Los Angeles. Here’s one for the books. In what is considered a bellwether defective hip implant lawsuit, a jury has just handed down an $11 million verdict against the makers of allegedly defective implants. In this trial, part of a multidistrict litigation (MDL) against Wright, the Atlanta jury found the plaintiff did have a defective hip implant, and that Wright had misrepresented the safety of the device. According to court documents, the Wright hip verdict includes $1 million in compensatory damages and $10 million in punitive damages. Robyn Christiansen, the plaintiff, is one of about 2,000 people who filed a complaint or entered a tolling agreement after receiving allegedly defective Wright Conserve Hip Implant Systems. She filed her lawsuit in 2013, seven years after receiving her implant. “A former ski instructor for over 47 years, Ms. Christiansen is now limited in her ability to enjoy the things she has always loved to do, such as water-skiing and hiking,” according to a written statement provided on behalf of the plaintiff’s counsel. Ok – that’s it for this week folks –Happy Thanksgiving Weekend! Wonder if the Bird will Sing? Twitter unit MoPub is facing a proposed Internet privacy violations class action lawsuit alleging the mobile ad management platform installs a “supercookie” in Verizon subscribers’ Internet browsers, which tracks customers online activity. Plaintiff Shamma Singh, a California-based Verizon subscriber, states in the MoPub complaint that the tracking IDs created by MoPub Inc. for her and other Verizon Wireless users to track their behavior for targeted advertising, are very hard to identify and that computer experts have struggled to detect them. The lawsuit claims that the marketing company offers only a bogus opt-out mechanism that raises a logical catch-22. 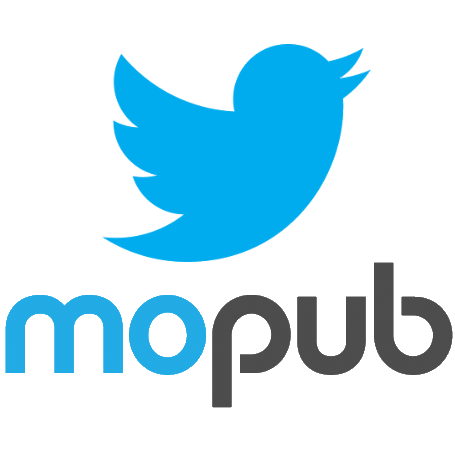 “Although MoPub Inc. appears to have an opt out mechanism, Verizon users have no knowledge that MoPub Inc. exists or is tracking them, rendering the opt out idea wholly ineffective,” the complaint states. “There is no reason why consumers would know to visit MoPub Inc.’s page to attempt to avoid tracking if they have no knowledge of its practices.” Of course not—who would think, right? But wait—there’s more…the opt-out option doesn’t even require MoPub to stop the tracking. Rather, it’s simply a request that MoPub can choose to ignore, according to the complaint. Consequently, the lawsuit states, MoPub has compiled “deeply personal and private information” on users without their knowledge or consent and designed its supercookies to be practically “indestructible,” according to the plaintiff. Further, deleting cookies from a browser won’t remove MoPub’s code, the lawsuit states. Of course not. So really, should we be surprised? Singh seeks to establish a class of the “thousands or millions” of Californians who used Verizon to access the Internet or use applications on their phones or computers, stating the statute of limitations doesn’t apply because MoPub concealed its tracking. The lawsuit is Case No. BC601072, in the California Superior Court, County of Los Angeles. McDonald’s Customers not Hep to That? Ok—didn’t see this one coming. Nor did Mickey D’s, I’m betting. A personal injury class action lawsuit has been filed against the operator of a McDonald’s restaurant in Waterloo, New York, by a customer who alleges he and others who ate at the restaurant were exposed to food and drinks prepared by a worker with the hepatitis A virus, which causes contagious liver infections. Filed in New York state, against Jascor Inc, the lawsuit seeks class status for potentially affected customers, who may number more than 1,000. The McDonald’s lawsuit stems from a Seneca County Health Department confirmed a case of hepatitis A in a food service worker at the Waterloo McDonald’s, on November 13. Public health officials said diners had a low risk of contracting hepatitis A. However, they urged customers who had consumed food and/or beverages from the Waterloo restaurant on November 2, 3, 5, 6 and 8 to consider treatments if they were not previously vaccinated against hepatitis A. According to the complaint, plaintiff Christopher Welch purchased and consumed products from the restaurant on at least one day when the infected worker was on duty. The complaint alleges McDonald’s is liable because it sold food and drink that may have been contaminated with hepatitis A, exposing customers to possible illness and forcing them to receive a vaccine or take a blood test. Further the restaurant failed to exercise due care in assuring that its employees obtained hepatitis A immunization and for allowing one or more employee to work while infected with the virus, the lawsuit states. Although plaintiffs are not seeking damages, the complaint states the losses could be for lost wages; medical and medical-related expenses; travel and travel-related expenses; emotional distress; fear of harm and humiliation; physical pain; physical injury; and other incidental and consequential damages that could arise. The case is Welch et al v. Jascor Inc d/b/a McDonald’s Restaurant, No. 49796. Here’s a Styln’ Settlement for the Folks who Do your Do… To the tune of $5.75 million.That’s right rolks. The settlement, if approved, will end an unpaid wages and overtime class action lawsuit pending against Regis Corp, filed by workers in the company’s hair salons who allege they were shorted on overtime and minimum wage pay. The preliminary Regis stylist deal would end claims that Regis violated California labor law and the Fair Labor Standards Act as well as address claims that they violated the state labor laws by failing to provide rest and meal periods, failing to pay wages due upon termination, making illegal payroll deductions, and failing to reimburse business expenses, among other claims, according to a third amended complaint included in the court filings. The latest complaint in the case would consolidate a similar suit that was ongoing in California state court into the instant action. The new case would include three potential sets of classes: stylists employed by Regis in California from May 2010 through the date when the court enters a preliminary approval order, other Regis employees in California during the same period, and members of either of the first two groups who stopped working for the company during the period, according to the proposed settlement. Under the deal, the three named plaintiffs would share $15,000 in service awards; each putative class member who separated from the company would get $150; and Regis would pay $20,000 in penalties to various state funds. The overall putative class of approximately 5,573 would share the remaining funds, less legal and administrative costs, on a prorated basis, with two-thirds going to the stylists and one-third going to the other workers. The case is Fong et al. v. Regis Corp. et al., case number 3:13-cv-04497, in the U.S. District Court for the Northern District of California. Ok – that’s it for this week folks – see you at the bar! And Happy Columbus Day! Cheery-oh-ho-ho-NOT! General Mills—accused of going a heavy on the hot air and light on substance. Cheerios is the subject of a false advertising class action filed alleging that General Mills misleads customers about the amount of protein in its popular cereal Cheerios Protein. 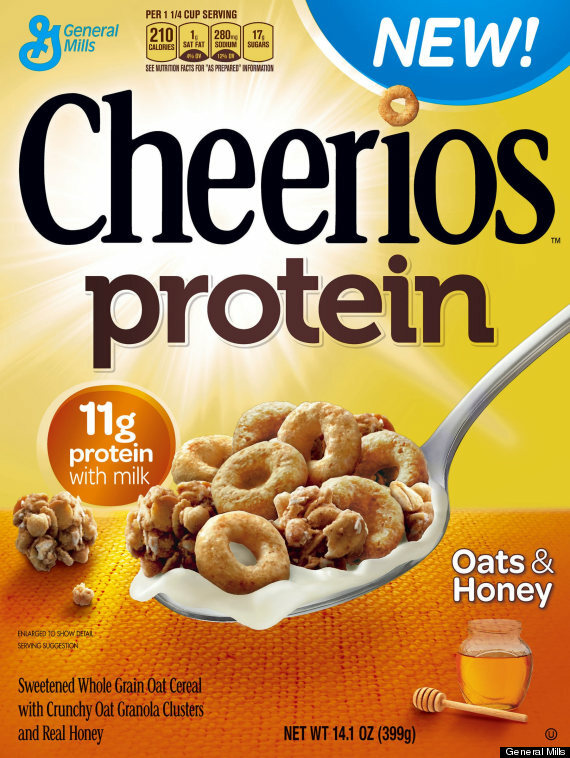 Filed in federal court, the lawsuit asserts that a side by side comparison of Original Cheerios and Cheerios Protein shows that Cheerios Protein does not contain as much protein as the original version. Say wha…? 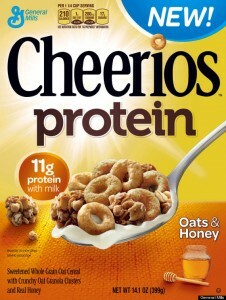 The Cheerios lawsuit asserts that General Mills is marketing Cheerios Protein as a “high protein, healthful alternative to Cheerios” when it does not contain much more protein than Original Cheerios. “Rather than protein, the principal ingredient that distinguishes Cheerios Protein from Cheerios is sugar,” the suit states. According to the complaint, the Nutrition Facts Panel on the boxes cite a 4 gram difference in protein (7 for Cheerios Protein versus 3 grams for the original), a “smidgen”. However, the lawsuit attributes that to a larger serving size (55 grams as opposed to 27 respectively). The complaint goes on to state that for the same 200 calories, there is only a 0.7 gram difference between Cheerios Protein Oats and Honey (6.7 grams) and Original Cheerios (6 grams). Further, the lawsuit alleges that Cheerios Protein contains significantly more sugar than Original Cheerios cereal. By way of example, a 1 1/4-cup serving of Cheerios Protein Oats and Honey has 17 grams of sugar, whereas Original Cheerios has 1 gram for a 1 cup serving. Similarly, a 1 1/4 cup serving of the Cinnamon Almond variety has 16 grams, according to the documents. The Cheerios lawsuit states that the advertising for Cheerios Protein says it’s a “great start to your day” along with pictures of “appealing photographic images depicting healthy and successful kids and parents.” Further, “These claims and images are part of a sophisticated marketing campaign to encourage parents to purchase Cheerios Protein for their children; and the sweet taste of the product helps ensure that children will eat the product,” the lawsuit states. In a report by ABC News, the agency stated it also found Cheerios Protein Oats and Honey to have more sugar than every other variety of Cheerios on the market: with 10.2 grams for a 3/4 cup serving. Apple Cinnamon Cheerios has the second most with 10 grams and third is Cheerios Protein Cinnamon Almond at 9.6 grams. Frosted Cheerios, Fruity Cheerios and Chocolate Cheerios have 9 grams each, the calculations found. Heads Up for GNC Supplement Users…there’s more to those supplements than you thought… No stranger to lawsuits, GNC is facing a dangerous drugs class action alleging the company includes dangerous ingredients, such as picamilon, a synthetic neurotransmitter, and amphetamine-like BMPEA in its products. Filed by lead plaintiff, Chris Lynch, the lawsuit asserts that the company knew or should have known the products were actually “spiked” with BMPEA. Picamilon is a prescription drug legal in some countries, but not the United States. It is used to treat a variety of neurological conditions. BMPEA is a synthetic chemical similar to amphetamine that is banned by the World Anti-Doping Organization, according to the complaint. The proposed GNC class action cites Oregon attorney general Ellen Rosenblum’s October 22 suit alleging that the company sold dietary supplements that contained picamilon and BMPEA. Further, Lynch alleges that as early as 2007, GNC was aware that picamilon is a synthetic drug created by Soviet researchers, and not a lawful dietary ingredient, pointing to documents reviewed by GNC’s technical research senior project manager. Despite widespread knowledge that the Acacia rigidula products were at high risk of having been adulterated with BMPEA, GNC continued to sell these products without testing them to see if they were spiked with BMPEA, or telling consumers about the risk, according to the complaint. The case is Lynch v. GNC, case number 2:15-cv-01466 in the U.S. District Court for the Western District of Pennsylvania. JCPenney’s Pricing Has Preliminary Settlement… JCPenney has reached a preliminary settlement agreement in a consumer fraud class action lawsuit brought on behalf of California customers who purchased certain JCPenney private or exclusive branded products. The lawsuit, filed in 2012, arises from the price comparison advertising of private and exclusive branded products JCPenney used in California between November 2010 and January 2012. Plaintiff claims, among other things, that JCPenney’s practices did not comply with California law. JCPenney denies the allegations and is entering into this settlement to eliminate the uncertainties, burden and expense of further protracted litigation. If approved, according to the terms of the settlement, JCPenney will make available $50 million to settle class members’ claims. Class members will have the option of selecting a cash payment or store credit. The amount of the payment or credit will depend on the total amount purchased by each class member during the class period. The settlement agreement also states that JCPenney will implement and/or continue certain improvements to its price comparison advertising policies and practices, including periodic monitoring and training programs designed to ensure compliance with California’s advertising laws. The lawsuit, Cynthia E. Spann v. J.C. Penney Corporation, Inc., is pending in the United States District Court for the Central District of California. Another Week, Another Employment Lawsuit…in fact, this is just one of several employment lawsuits filed this week. But let’s look at this one alleging Jack in the Box (JB) Jacks its employees. The fast food chain is facing an employment class action lawsuit filed by a former store manager who alleges the fast food chain failed to pay him overtime wages despite his regularly working in excess of 72 hours per week. According to lead plaintiff Joseph Rico in the Jack in the Box lawsuit, the company allegedly misclassified Rico and other store managers as exempt employees under California labor law, enabling the company to pay them a fixed amount of wages. Rico alleges that he worked at the burger chain between February 2014 and July 2015, during which time he was often asked to fill in for non-exempt hourly employees who had worked 40 hours in a given week, allowing JB to minimize overtime pay. The complaint asserts that Rico was told by that he would be earning $45,000 a year and working about 47.5 hours per week on average. However, Rico claims he regularly worked over 72 hours, and occasionally as much as 80 hours per week, rarely had time to take breaks and was not compensated for breaks that were missed or interrupted. According to Rico, on Mondays he started work at 4 a.m., spending the early hours doing inventory, and then performing non-exempt tasks like filling orders, working the grill, deep fryer and drive through, stocking the restaurant and providing janitorial, custodial, security and repair services. Rico states he did not receive a break from work until at least 2 p.m., and even then the break would only be a few minutes long, if customer flow allowed for it. On most days, Rico claims he worked until 7 p.m. or later, according to the lawsuit. He cites additional examples of excessive hours worked, throughout a work week, without breaks, performing non-exempt tasks. 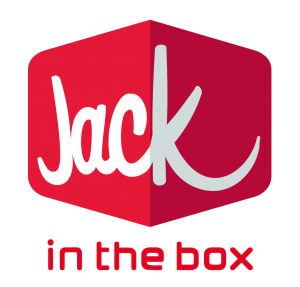 Further, the Jack in the Box lawsuit claims that Rico and other store managers did not receive wage statements, as required by California Labor Code, that they were not paid the wages they were due if they were terminated or resigned, and that they had to pay out of pocket for any restaurant repairs, but were not reimbursed. Rico is looking for compensation, damages, penalties and interest under the California Labor Code, as well as penalties for violation of the Unfair Business Act, California Business and Professions Code, and compensation and penalties under the California Private Attorneys General Act, among other things. The case is Joseph Rico, on behalf of himself and all others similarly situated, v. Jack in the Box Inc. and DOES 1-50, inclusive, case number BC599920, in the Superior Court of the State of California County of Los Angeles. Defective Air Bags get a Settlement of Sorts… This one, between Takata and the Department of Transportation’s National Highway Traffic Safety Administration (NHTSA). The price tag for Takata is a whopping $200 million. The offense? Defective air bags, which caused 7 deaths and nearly 100 air bag injuries in the United States and now involves the recall of 23 million inflators, and 19 million vehicles by 12 automakers. Read on. The NHTSA issued two orders this week, both of which impose the largest civil penalty in NHTSA’s history for Takata’s violations of the Motor Vehicle Safety Act, and for the first time use NHTSA’s authority to accelerate recall repairs to millions of affected vehicles. Additionally, the actions prioritize recalls so the greatest safety risks are addressed first, and set deadlines for future recalls of other Takata inflators that use a suspect propellant unless they are proved to be safe. Here’s the skinny—short-ish version: the Consent Order issued to Takata imposes a record civil penalty of $200 million and requires the company to phase out the manufacture and sale of inflators that use phase-stabilized ammonium nitrate propellant, which is believed to be a factor in explosive ruptures that have caused 7 deaths and nearly 100 air bag injuries in the United States. Of that $200 million fine, $70 million is payable in cash. An additional $130 million would become due if Takata fails to meet its commitments or if additional violations of the Safety Act are discovered. The Consent Order also lays out a schedule for recalling all Takata ammonium nitrate inflators now on the roads, unless the company can prove they are safe or can show it has determined why its inflators are prone to rupture. And there’s a confession…as part of NHTSA’s Consent Order to Takata, the company has admitted that it was aware of a defect but failed to issue a timely recall, which is consumer fraud and a violation of the Motor Vehicle Safety Act. In connection with the Consent Order, NHTSA also issued findings that Takata provided NHTSA with selective, incomplete or inaccurate data dating back to at least 2009, and continuing through the agency’s current investigation, and that Takata also provided its customers with selective, incomplete or inaccurate data. Nice. The order also imposes unprecedented oversight on Takata for the next five years, including an independent monitor selected by NHTSA to assess, track and report the company’s compliance with the phase-out schedule and other requirements of the Consent Order, and to oversee the Coordinated Remedy Program. Separately, the Coordinated Remedy Order issued to Takata and the 12 vehicle manufacturers involved in the existing Takata recalls directs them to prioritize their remedy programs based on risk, and establishes a schedule by which they must have sufficient parts on hand to remedy the defect for all affected vehicles. The order also establishes a Coordinated Remedy Program under which the agency will oversee the supply of remedy parts and manage future recalls with the assistance of an independent third-party monitor. In the Coordinated Remedy Order NHTSA is using for the first time legal authority which was established in the 2000 TREAD Act to allow the agency to accelerate safety defect repairs if manufacturers’ remedy plans are likely to put Americans at risk. NHTSA announced in June that it was considering use of that authority, and has since gathered information and comment from vehicle manufacturers, parts suppliers and the public as part of a proceeding to determine whether and how to best address recalls involving more than 23 million inflators, 19 million vehicles and 12 automakers. Under the Coordinated Remedy Order, vehicle manufacturers must ensure they have sufficient replacements on hand to meet consumer demand for the highest-risk inflators by June 2016, and to provide final remedies for all vehicles—including those that will receive interim receive interim remedies because of supply and design issues—by the end of 2019. And What about the Price of Optical Disc Drives, you ask? Well, a proposed $37 million settlement has been filed in an antitrust class action alleging multiple electronics makers, colluded to fix prices of optical disc drives, which read or write data on CDs, DVDs and Blu-rays and are found in computers, video game consoles and other devices. The optical disc drive settlement, if approved, would end the claims of a class of direct purchasers claims against seven defendant corporations, which includes Sony Corp., Samsung Electronics Co. Ltd. and Koninklijke Philips Electronics NV, BenQ Corp., Pioneer Electronics Inc., Quanta Storage Inc., and TEAC Corp. According to court documents, the direct purchasers have asked California’s Northern District to preliminarily approve each settlement, provisionally certify settlement classes, approve the form and manner of notice to the class, appoint class counsel, approve a plan of allocation, and establish a schedule for final approval and for class counsel’s motion for attorneys’ fees and costs. The fairness of the settlement must be established in a court hearing. If approved, QSI will pay $400,000, BenQ $875,000, TEAC $1.325 million, Pioneer $4.2 million, and Sony, Toshiba and Philips will pay $6 million, $9.2 million and $15 million, respectively. The proposed settlement class includes all individuals and entities who purchased one or more optical disk drives in the US directly from the defendants or any of their subsidiaries or affiliates between January 1, 2004 and January 1, 2010. Court documents reveal that the court previously approved a $26 million settlement with the direct class of purchased and defendants Hitachi-LG Data Storage Inc. and related entities, a $5.75 million settlement they reached with Panasonic Corp. and a $6.15 million settlement with NEC Corp. The case is In re: Optical Disk Drive Products Antitrust Litigation, case number 3:10-md-02143, in the U.S. District Court for the Northern District of California. Ok—That’s a wrap folks… See you at the Bar!